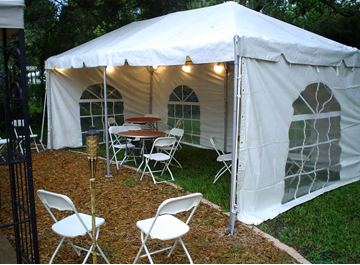 Pole tent are the type of tents most people picture when they think of a tent. They are a made of heavier covering and require numerous side poles, one or more center poles. 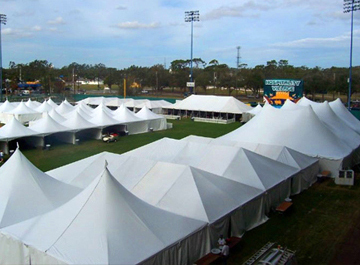 Frame tents are used at locations where minimal staking or no center pole is desired. Distinguished by clear, unobstructed interiors and meticulously machined components. 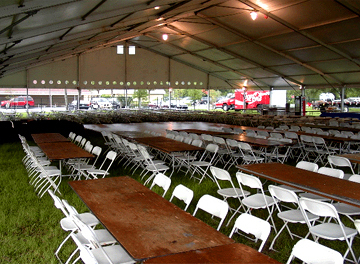 We have several styles and colors to choose from Banquet, Round, Shaped, Cocktail our experienced staff will help you choose the most effective table setup for your event.